What do I see when I look through my Google designed eyeglasses? And, am I too distracted by what I am watching in my glasses to see through them? That’s not her name. It’s that white thing covering her eyebrow and wrapping around half her head. The next wave of commercially available wearable computers. Here, now, enhancing our lives. Forever altering what we see. What we see in others. And what they see in us. Already, they are Gotta Have cool fashion (like a Under Armor or Nike apparel, or a North Face parka, or UGG Boots). The difference? These specs not only alter how people see you, they alter how you perceive others and how you participate in reality. How the glasses work: A little screen is hooked to the top of these frames. The screen is a attached to computer, which in turn is connected to the internet and/or your Android (Google) or iPhone (Apple) device. There’s a camera and a way to for you to control scrolling, a GPS, video, and audio capabilities… in short everything Google needs to serve you emails (Gmail), or directions (Google maps), via your GPS enabled real-time search (hey… Google again) or translation services (Google), or dictionaries (Google), measure conversions (Google), phone calls over the internet (Google), or sharing photos or restaurant reviews (Google +) or a thousand other services Google is creating to preemptively serve you whenever or wherever you are. I see trouble. Let’s start with the easy stuff. Look, we know people can no longer safely drive with the dashboard full of electronic distractions that are packed into cars these days. Phone calls, internet searches, spoken texts, GPS directions, music play lists, restaurant reviews – you name it, it is coming at you. Just like the idiot in the next lane who is so animatedly talking to his boss, or his wife, or his kids on the phone rather than driving. And talk about back seat drivers – I am thinking it will be a real mess when my Garmin wants me to drive a different route than my Google Glass does. And then there is distracted walking. It was bad enough when they were looking at the phone they held in their hand as they tripped into the fountain at the mall. Kids will be playing Fruit Ninja in Spanish class on their glasses. My wife will be watching Gray’s Anatomy while I tell her about my day. Staff at work will be pretending to listen to the CEO while they are watching March Madness. And does it really enhance life to have it augmented, through some kind of filter bubble? We already know that you see different things when you search online than I do. Even if we both search for the exact same thing and the same exact time. As Google stakes its claim to serve us their version of reality – just as they now do our online experience, we can be sure that much (non-paying? copyrighted? not highly ranked?) stuff will be left out. What choices I make always depend on what I choices I perceive. How clearly will I see what I am being served? And what will the model see if she glances in my direction? Well, if she isn’t watching Honey Boo Boo, once the the Google facial recognition software figures out who I am, and if she has taught herself not to be overwhelmed (underwhelmed) with the details of my life story that will be instantly available to her – such as my wife’s name, my bank account size, and how many kids I have, all popping up right there on the mini-computer screen as she looks around the room, she may notice me. And rather than talk, maybe she will find search my LinkedIn listings to see who my friends are and whether she can use me to some advantage so I will be worth her time. Or maybe she is hungry and the taco stand behind me will be highlighted because it paid for placement on Google Maps, and because you and/or your store didn’t tithe to Google, you won’t glow in the glasses. Maybe she won’t even notice you. Or me? Oh, the humanity! The biggest shark jumping or sea changing feature of this device is that someone will always be doing it to me. Wherever I go and whatever I do. It is not just my device recording my behavior and reporting it to Google. Now it is your device. These glasses, which have a built-in still and video camera (complete with audio capability), will post and stream whatever one sees to the internet in real time. And there is no way out. When the Google Glass Guy walks down the street, or gets on the bus, and sees me, and a hundred or a thousand other people – and the Google face recognition software identifies us all and stores our locations for all time… it is no longer just about me teleporting my life to the cloud… now others can do it for me, I mean do it to me. I have long ago given up the notion that I have any privacy. I signed that away when I got a Google/Android system. Just about every app I download has access to my life, everything I do and everywhere I go. They read all my contacts, everything I write about on GMail and save my browsing, driving, and visiting locations for someone to sell, monetize, track or just plain exploit. I used to worry about he government collecting data about me. Not any more. It is everyone else I worry about now. You wear your glasses, you see me wherever I am, and all of a sudden Google owns me there. And stores me somewhere in the cloud. And resells me, to someone. What happens in Vegas stays where? And I can’t really opt out. Anything I do, on my Google Device, or browsing the web on a PC, or purchasing with a credit card, or using a shopping or flying or car rental or hotel affinity club, or just plain walking down the block under surveillance cameras is being pushed to those vast computers in the cloud – so they can do stuff with all this data. Because data unmined is just so much natural resource waiting for a reality show. 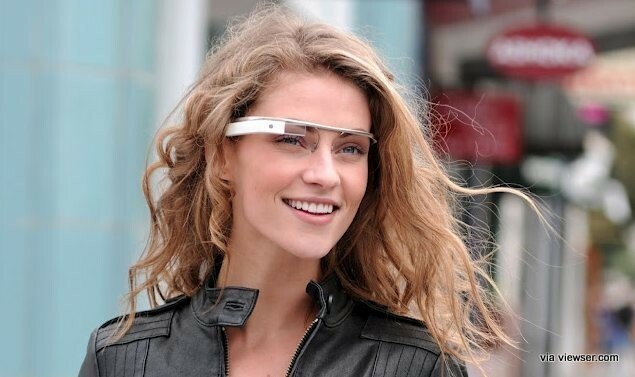 Look, Google Glass will probably serve my kids better than it serves me. They seem to like to experience life on screens rather than through, well, living. And I like technology as much as the next guy. All I can say is, pity the fool who prefers to experience my reality rather than their own. whoa! I have seen the future and it ain’t good. the future is now, as they say. take the good and leave the rest. or wear a mask and move off the grid.